How to make a storm rage on. In the animated film Frozen, instantly coating a room or a field with ice requires creative drawing and rendering. On a Broadway stage, entirely different kinds of skill and craft come into play. Director Michael Grandage and scenic designer Christopher Oram had to figure out how to bring the cold into the St. James Theatre for eight shows a week, conjuring snow and ice with everything from sculptural set pieces to video and lighting effects. “We can’t have the stage covered in small white particles that everyone’s going to slip on,” says Oram. That means the show deploys only the occasional flurry of glitter and paper, and other techniques are used to let it snow. 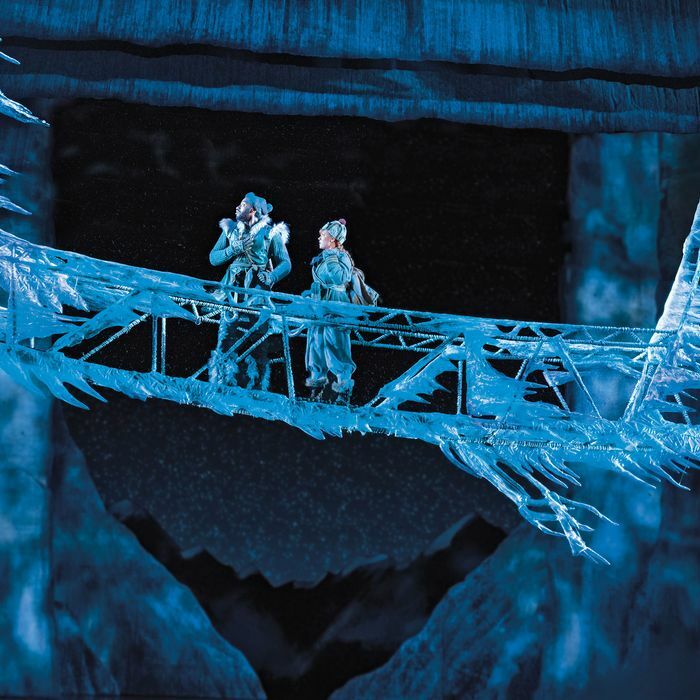 The bickering Anna and Kristoff bond in a new number written for the show while traversing a Temple of Doom–like footbridge suspended above the stage. The bridge’s steel skeleton holds together rope and wood, which is then covered with sculpted transparent plastic icicles. Anna falls off the side of the bridge mid-song, hanging upside down with the help of a harness. “Each time Elsa did something,” Oram explains, “I wanted it to be a bit different.” When she gets angry during one scene and acts out, an array of spikes rocket out of the stage in a form meant to resemble a wave. When she defends herself in the second act, internally lit icicles emerge from within the turntable at the center of the stage. The show’s effects all come together in the Act One finale, when the actress Caissie Levy sings the big song, “Let It Go,” transforming her costume in the process. Here, the ice looks most elegant, curling in forms that resemble flowery Norwegian rosemaling. 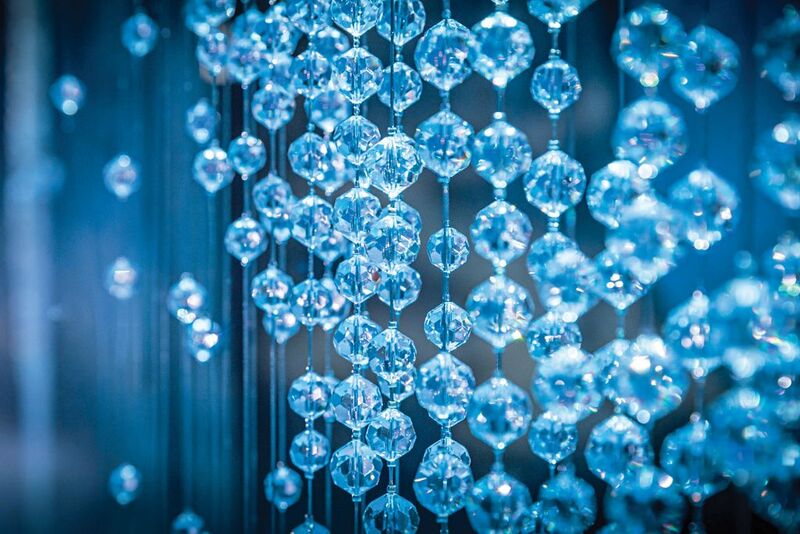 In a finishing (and breathtakingly expensive) touch, sheets of Swarovski crystals descend from the rafters. Designed to look like the warm carved woodwork of a Norwegian church as the show begins, a swath of Frozen’s set appears to freeze over once Elsa lets loose her powers in the first act. The woodwork itself is a video screen, and the crystallization spreads outward from her touch, timed in concert with the lights projected upon it and, of course, the music. In the show’s climax, ensemble members act out the part of the storm, whirling in motion across the stage and separating the main characters from each other. 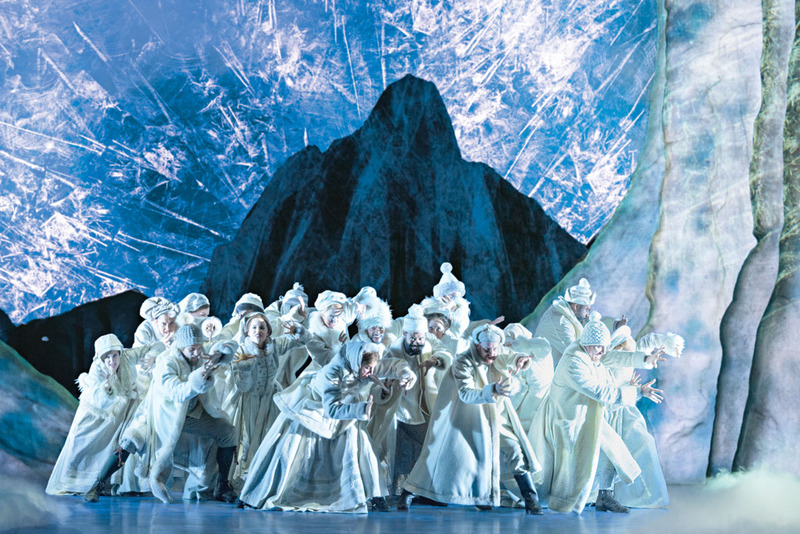 Choreographer Rob Ashford suggested the staging, which also calls for a group of actors to solidify into a sheet of ice as Anna rushes to save her sister. 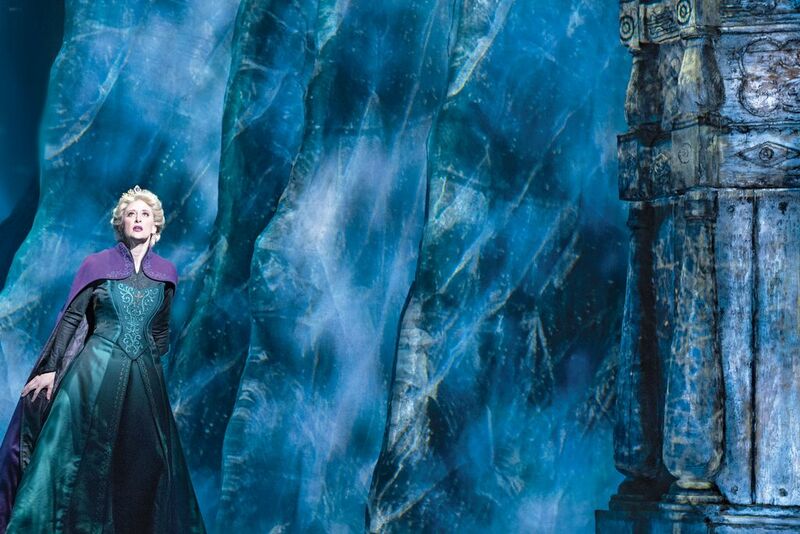 Frozen will open on Broadway on March 22.